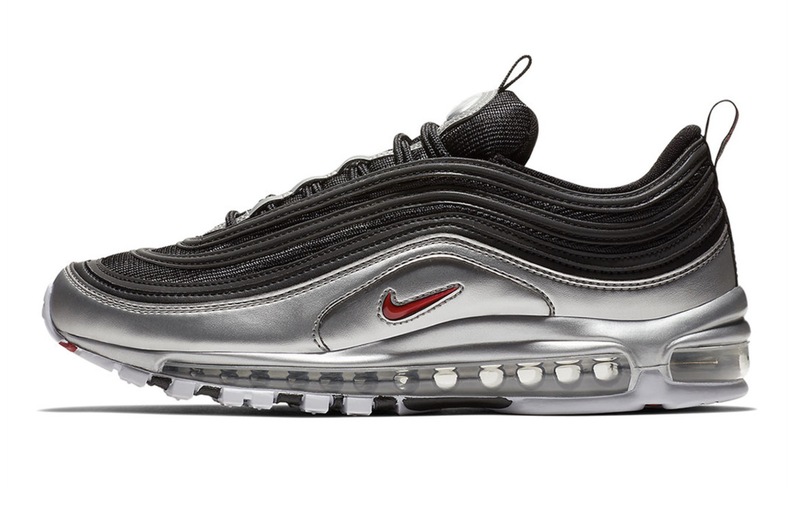 As many silhouettes are turning metallic, Nike have been the most recent to turn their iconic Air Max 97 to chrome. 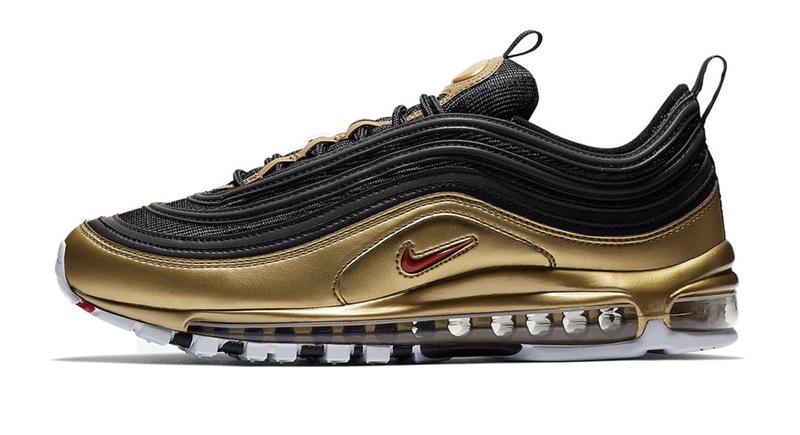 Arriving in a dipped aesthetic, the sneakers have a AM97 Silver/Golden Bullet style to them. These shiny accents have brought the silhouettes even more to life, and just in time for party season. What’s better than putting on some reflective, shiny sneakers for a day to night occasion? Arriving in White/Silver, Black/Silver and Black/Gold, there’s something for all tastes. 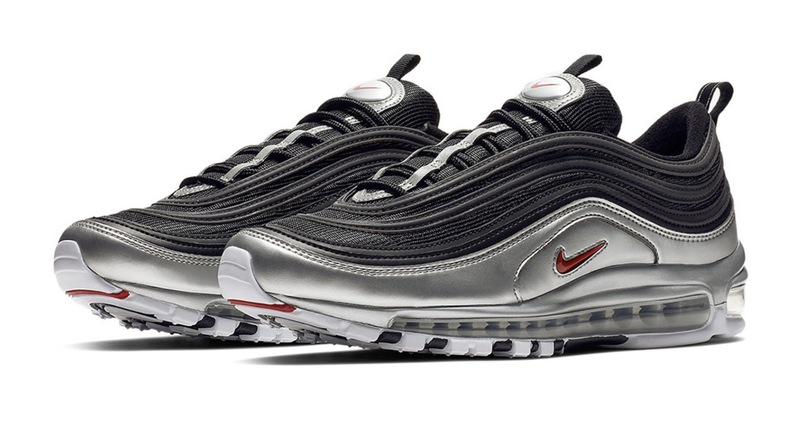 With the uppers of the silhouettes staying as the classic Air Max 97 materials and style, it’s the bottom half of the silhouettes that bring the new looks. 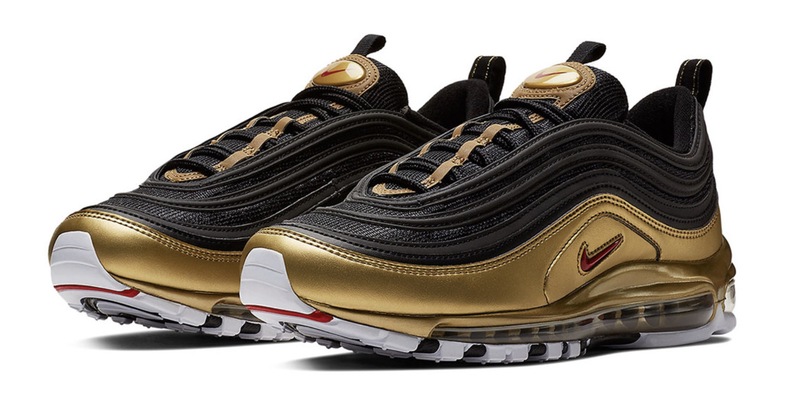 Each one with their metallic dipped lower uppers, all of the colourways feature a red mini Swoosh on the sidewall panel, on the tongue and on the toe section of the outsole. 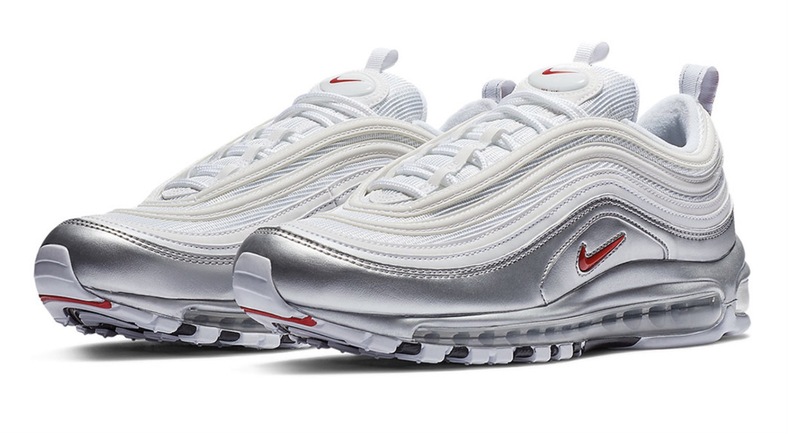 Each of the silhouettes have the classic full length AM97 Air Unit with matching white outsoles for traction and grip. The chrome part of each silhouette is carried through the sneaker, on the tongue and down the lace unit, tying each colourway together as one. 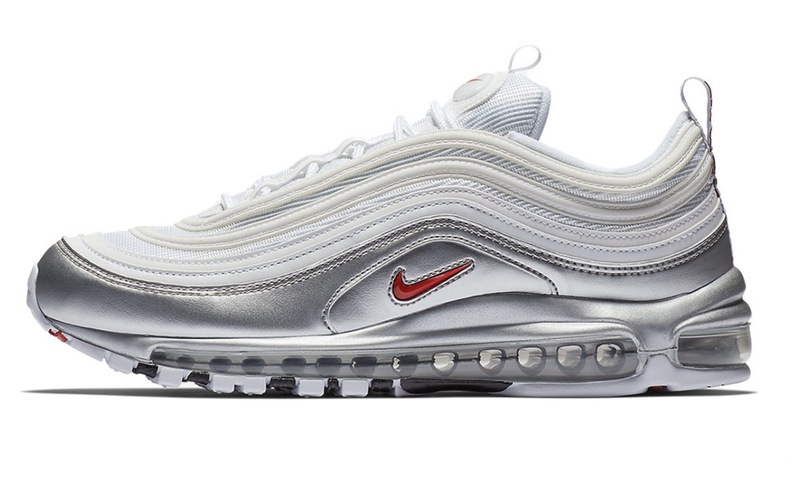 The Nike Air Max 97 Metallic Pack is set to release on the 9th November, so tay tuned to The Sole Womens for all updates as they come on this set of three!